This article suggests how and to what extent insights from behavioural economics and neuroscience may be used for the interpretation of the 2005 Unfair Commercial Practices Directive. These disciplines provide useful insight in how the average consumer’s decisions are influenced by commercial information and conducts. As the Directive focuses on whether a commercial practise distorts the economic behaviour of consumers, arguments for whether a particular commercial practise should be considered unfair may be found within these disciplines. It is important to bear in mind that the assessment that courts are to make is normative, and that behavioural economics and neuroscience is of a more descriptive nature. Thus these disciplines may not help draw the fine line between the legitimate influence of commercial activities and the illegal distortion of the average consumer’s behaviour. 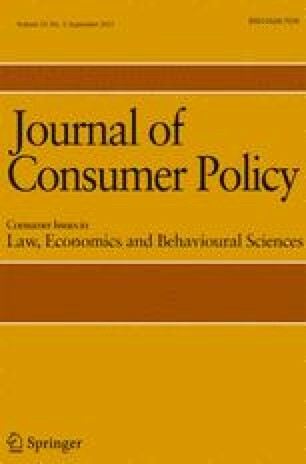 However, the average consumer test is at least in principle flexible enough to allow the inclusion of research within human decision-making in order to apply a more realistic average consumer than the “Homo Economicus” applied by the European Court of Justice. This article is based on a presentation by the author at the symposium on behavioural economics, consumer policy, and consumer law, held at the European University Institute, Florence, 25–26 June 2010. Directive 2005/29/EC of the European Parliament and of the Council of 11 May 2005 concerning unfair business-to-consumer commercial practises in the internal market and amending Council Directive 84/450/EEC, Directives 97/7/EC, 98/27/EC, and 2002/65/EC of the European Parliament and of the Council and Regulation (EC) No 2006/2004 of the European Parliament and of the Council (“Unfair Commercial Practices Directive”; text with EEA relevance).